Celery is still decent during the winter months. When combining the crisp bright flavor with fresh lemon juice and parmesan cheese, it made this rather under used vegetable a shining star. I added Heart of Palm to the salad as well. The mild flavor and slightly crunchy texture is similar to artichoke hearts. 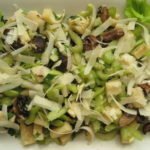 The marinated pan seared mushrooms are served cold in the salad and contribute some amazing flavors that bounce off the crisp flavor of the celery and hearts of palm. 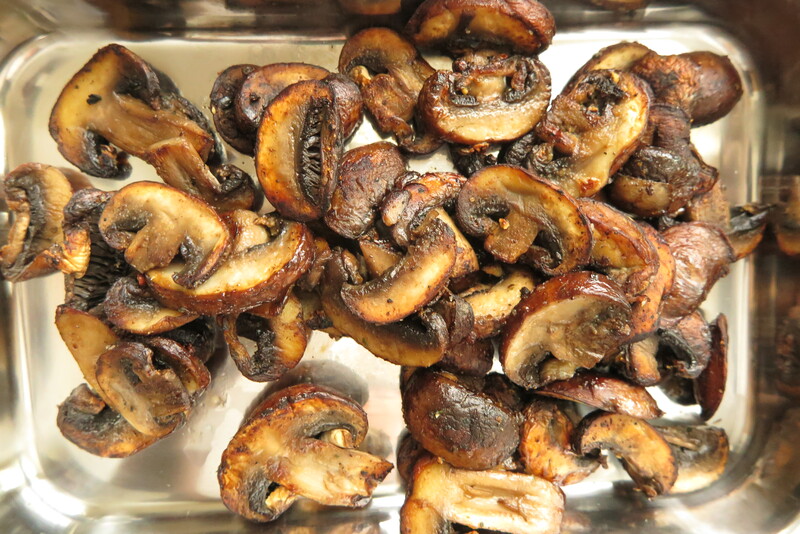 In a bowl, toss the mushrooms with the garlic, salt and pepper. Heat a large skillet over medium heat. Once the pan is heated, add the olive oil. Once the oil is heated, add the mushrooms not allowing them to overlap. Cook for 2-3 minutes per side or until golden brown. Turn the mushrooms over and brown the other side for an additional 2-3 minutes or until golden brown. Set to the side and cool. Can be refrigerated for up to five days. Note: We don’t want to completely cook the mushrooms to the point of where they start releasing their juices. It is important we are just browning the outside of the mushroom and keeping the inside firm. Cooking to the point of releasing the juices of the mushrooms will cause them to steam opposed to just browning them. Thoroughly mix the lemon juice, olive oil and salt. 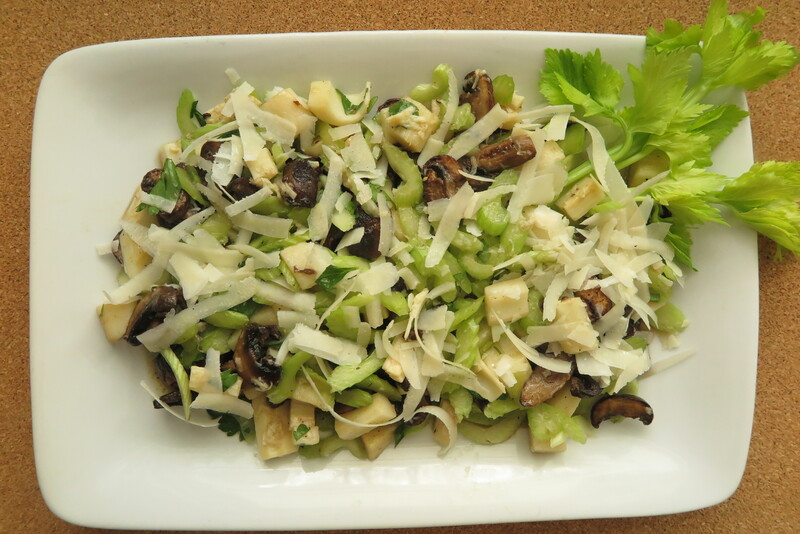 In a bowl combine the celery and heart of palm. Toss with the lemon dressing. Lightly toss with the parsley and marinated mushrooms. Keep chilled until you are ready to serve. Toss again before serving. Try this recipe with Pan Seared Steelhead Trout and Pasta with Roasted Tomatoes & Marinated Mushrooms.